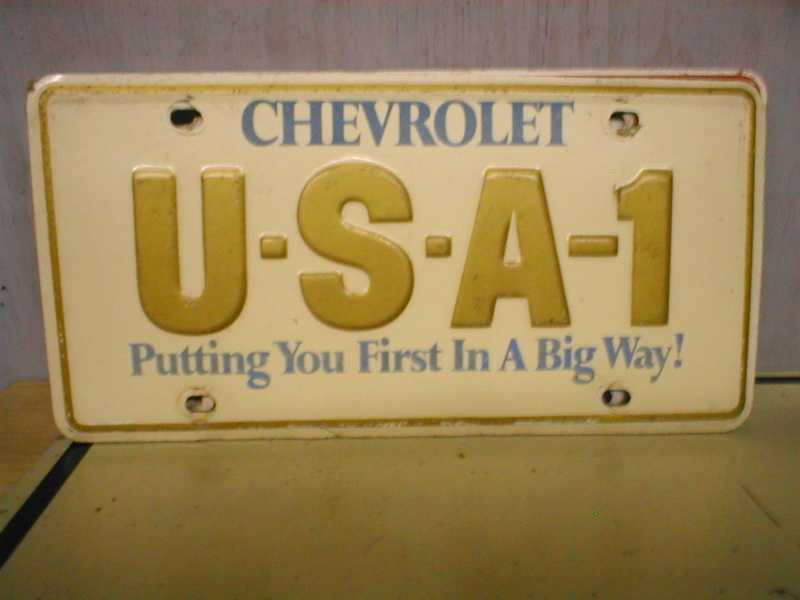 A lot of people get confused over the sequence of issue that Chevrolet released these booster plates. 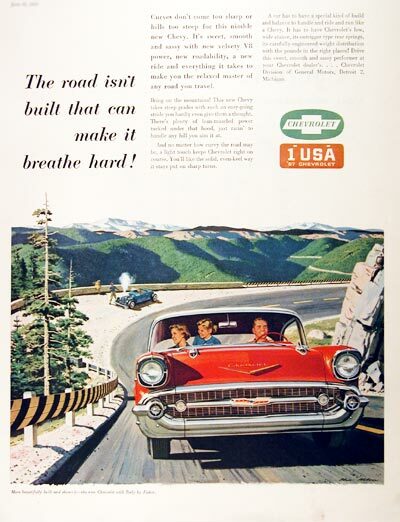 Hopefully, this page will help. 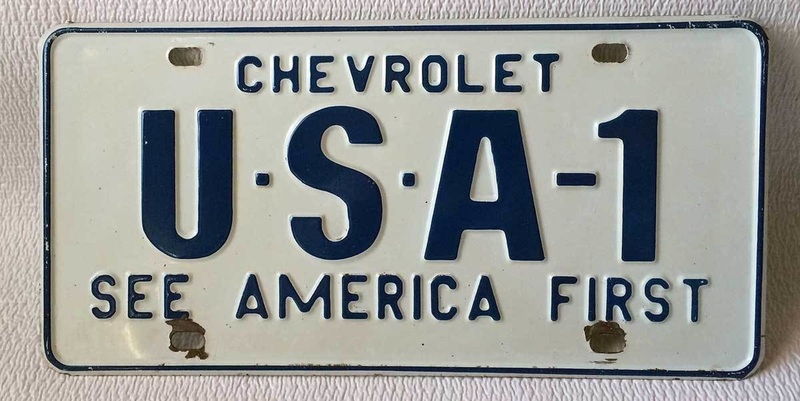 These plates came out in 1957 and were issued in different colors including black, blue, orange, and aqua green- all with white embossed lettering made with heavy steel. 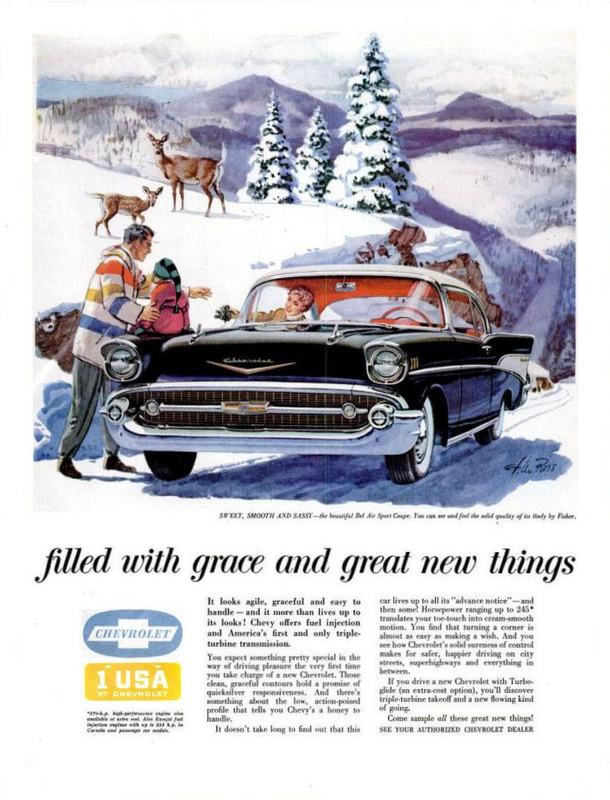 Notice the plate in the ad looks nearly identical to the picture. 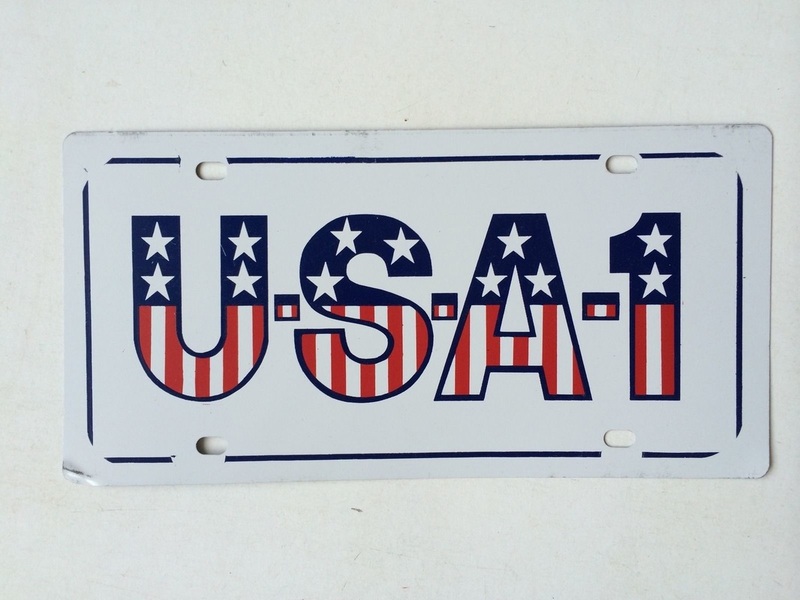 There are several of these USA-1 type of plates and were issued in various years. 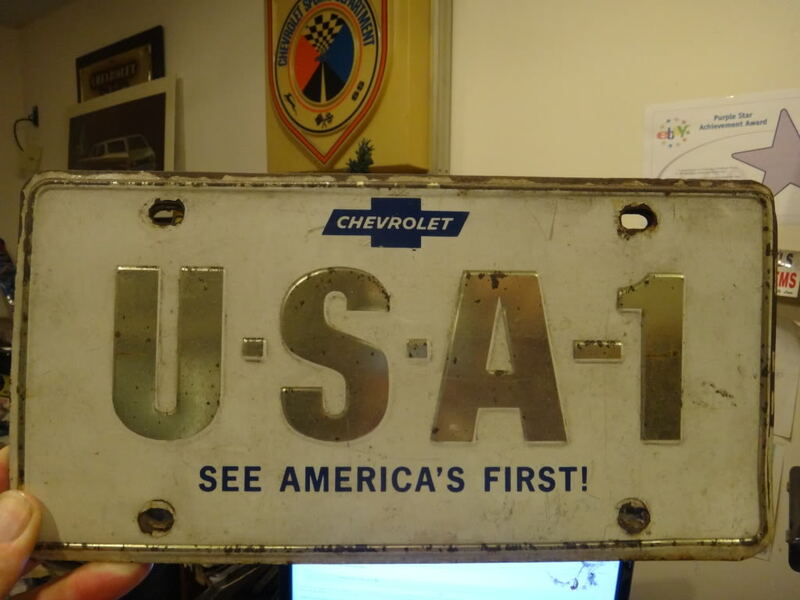 This is the first "USA-1" plate which from what I understand was introduced around 1965. 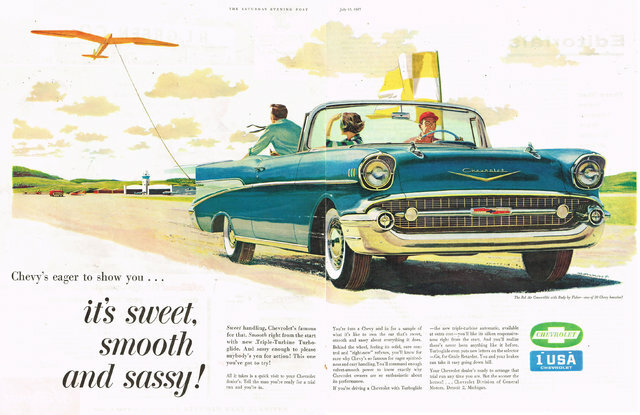 Notice the older style bowtie that was used in most Chevy ads through 1965. 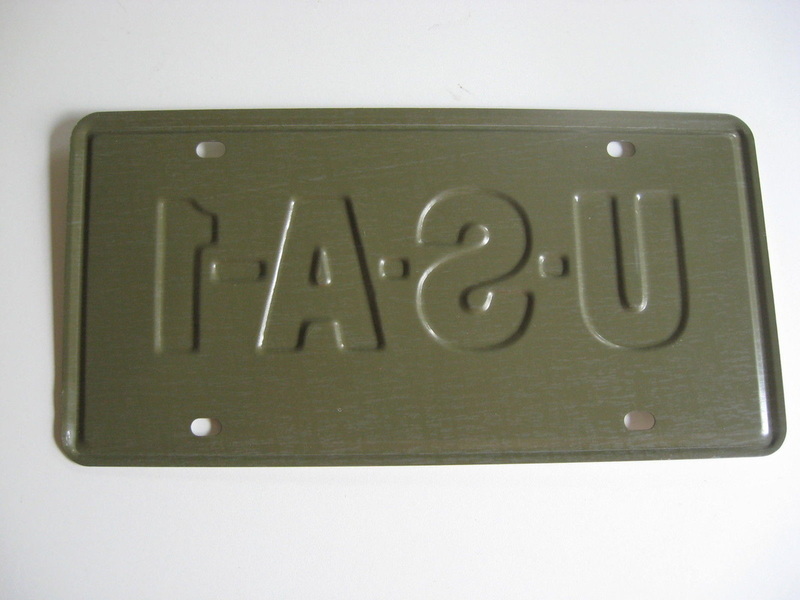 This plate is thin steel with cardboard backing and has anodized embossing where later versions are painted. 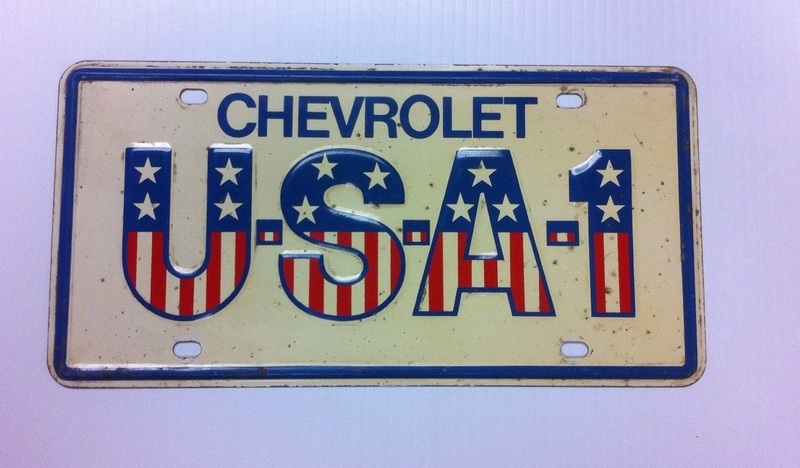 The plates with painted embossed areas were available from 1966 through 1968. 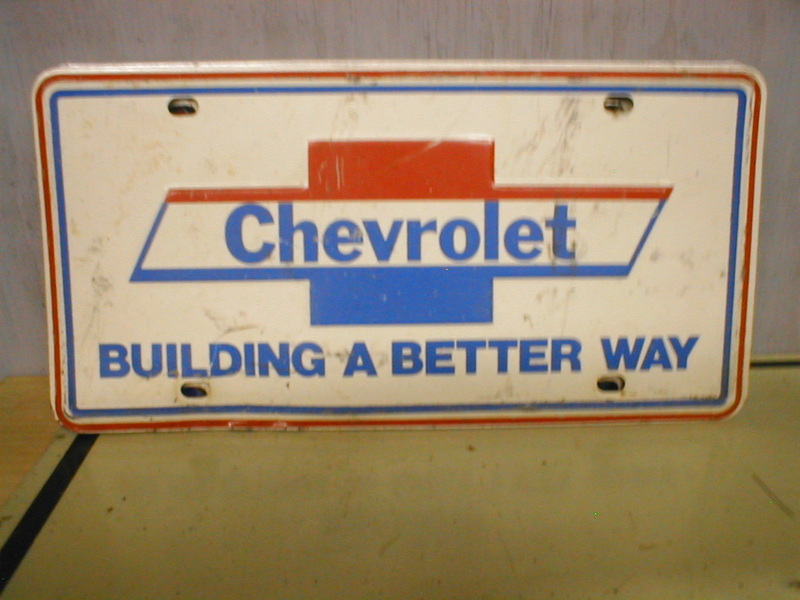 The back of these plates were painted GM Aqua Blue. 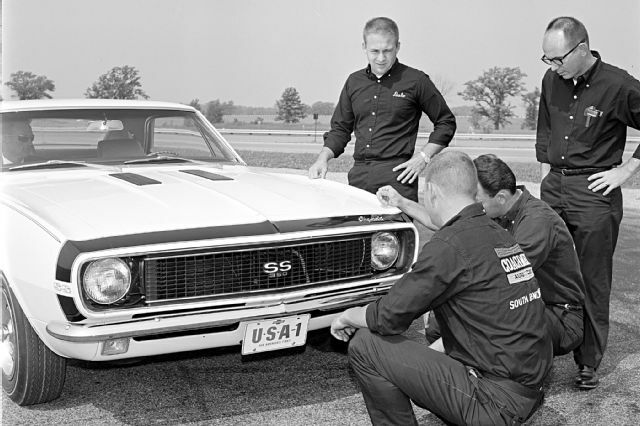 The earliest picture (shown below) known with this type of plate is shown mounted on the front of a 1967 Camaro taken in September 1966 for Car Craft magazine. 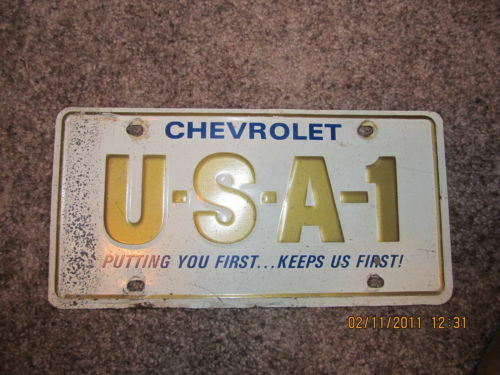 USA-1 "Putting You First... 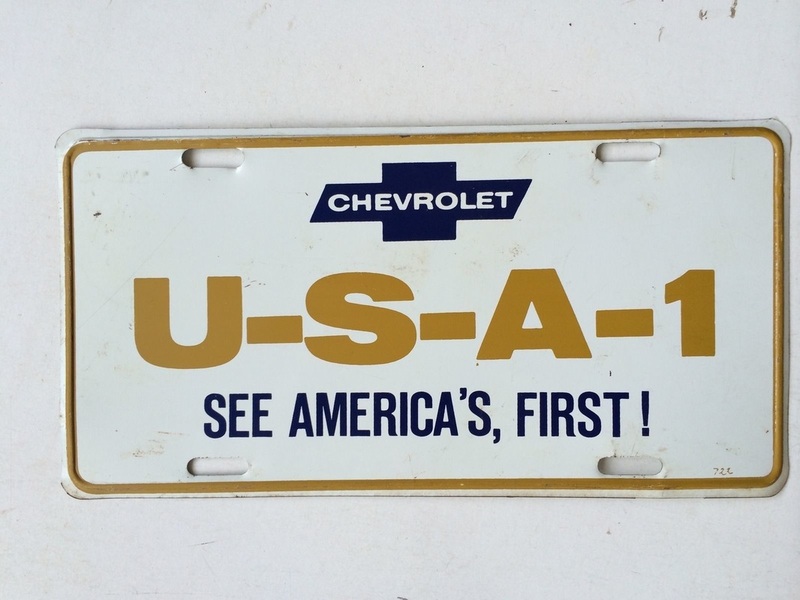 Keeps Us First"
USA-1 "Putting You First In A Big Way"
The last version of the gold embossed plates were issued in 1971 with different style name and slogan. 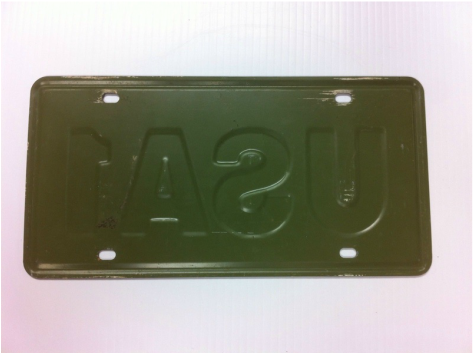 The back of these plates were painted olive green. 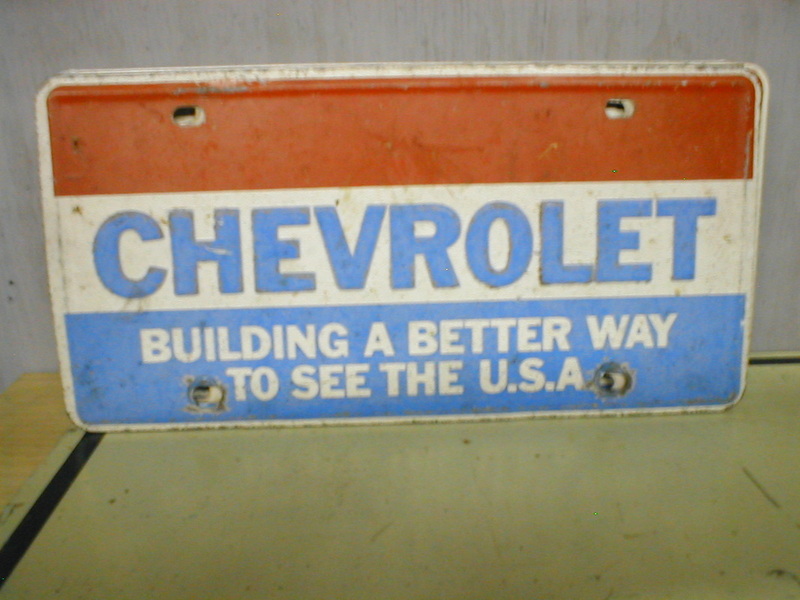 "Building a Better Way To See The USA"
Introduced in 1972, this plate was all new with a more patriotic theme having colors of red, white and blue. 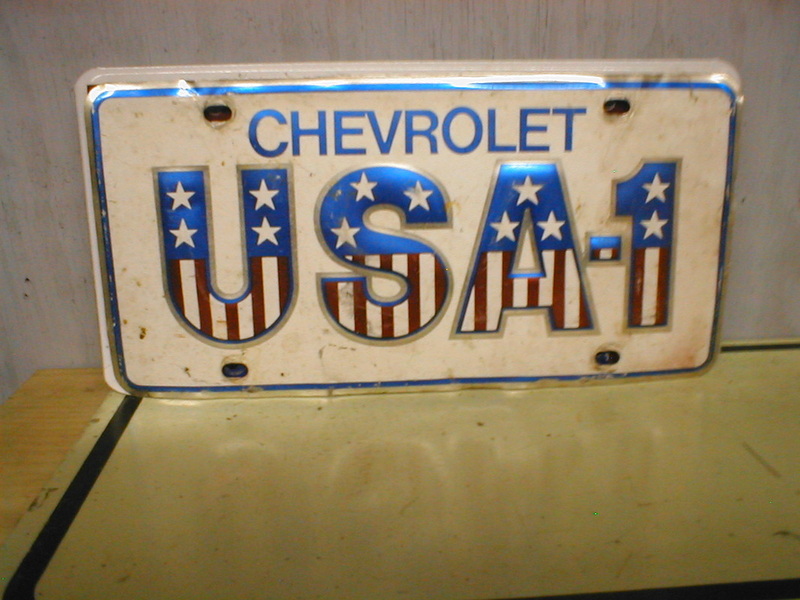 The plate was used through 1973. These plates have a light gray painted back. 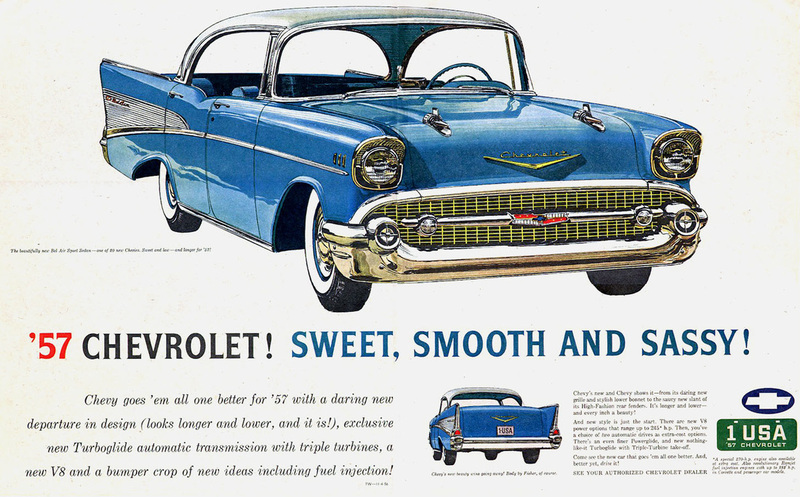 Carrying the patriotic theme further, the bowtie was redesigned and the slogan was shortened. 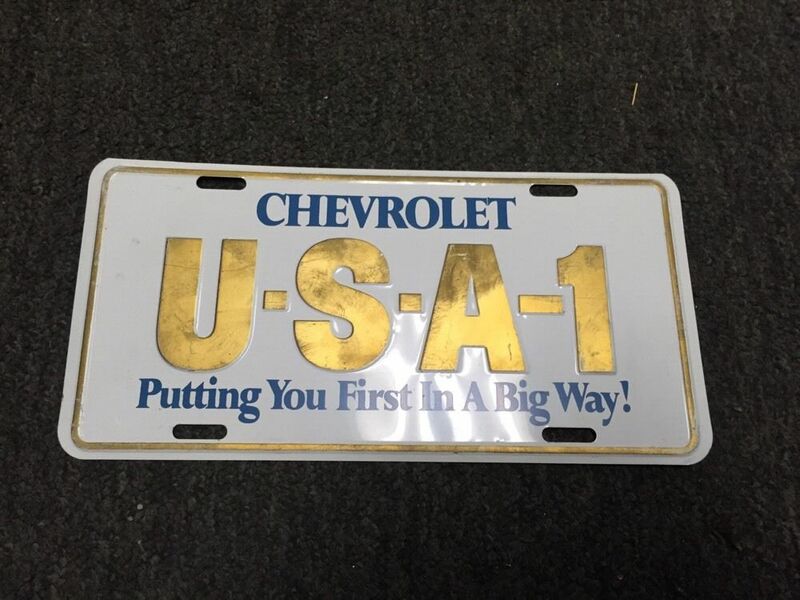 This plate is perhaps the hardest to find as it was primarily used with the Spirit of America models for 1974-75 which included the Impala coupe & convertible, Nova hatchback and the Vega hatchback. These plates have a light gray painted back. 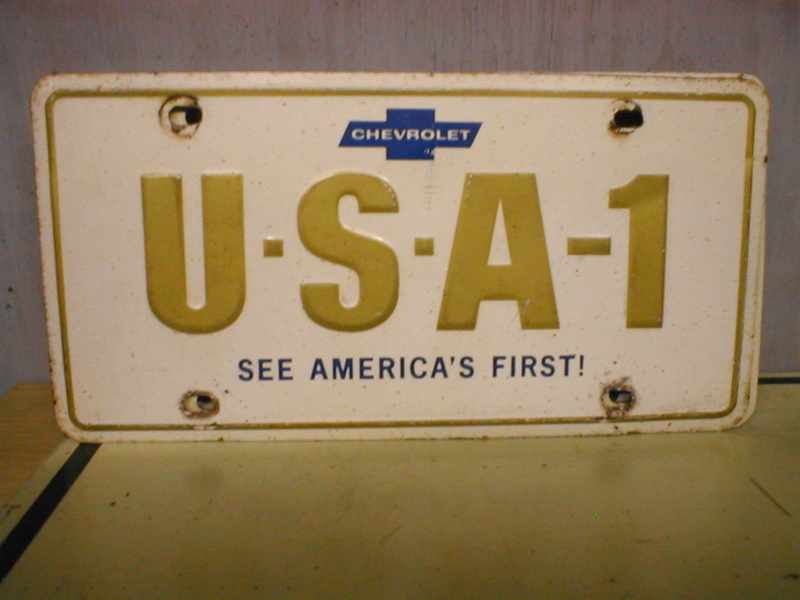 In 1976, the USA1 plate made it return in time for the country's bicentennial and has been made available from GM in various versions. 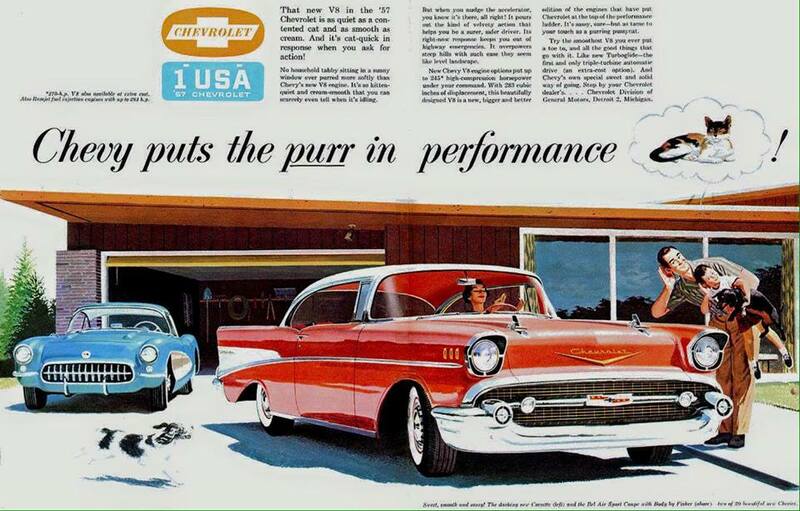 The original versions were made of steel like the other plates available from GM and had the same embossed areas as the older gold versions. 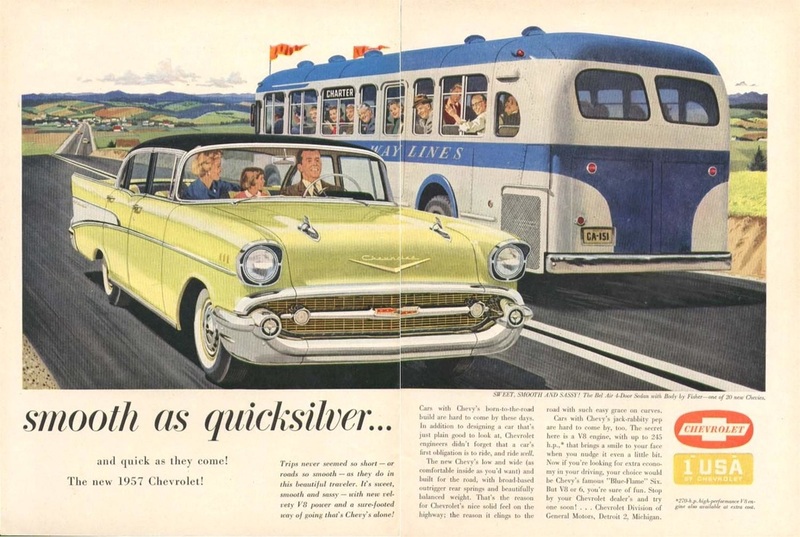 The backs were painted either light gray or olive green. 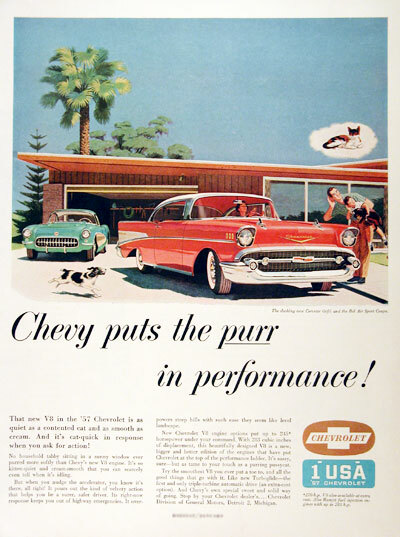 The CHEVROLET name initially did not have the registered trademark and was added later to plates made from aluminum with longer bolt slots. 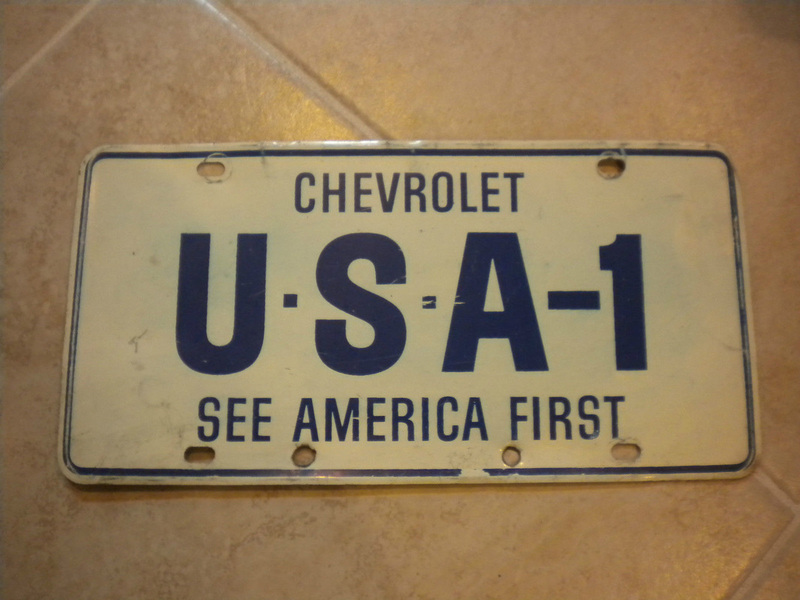 On steel versions, the border is wider as well. 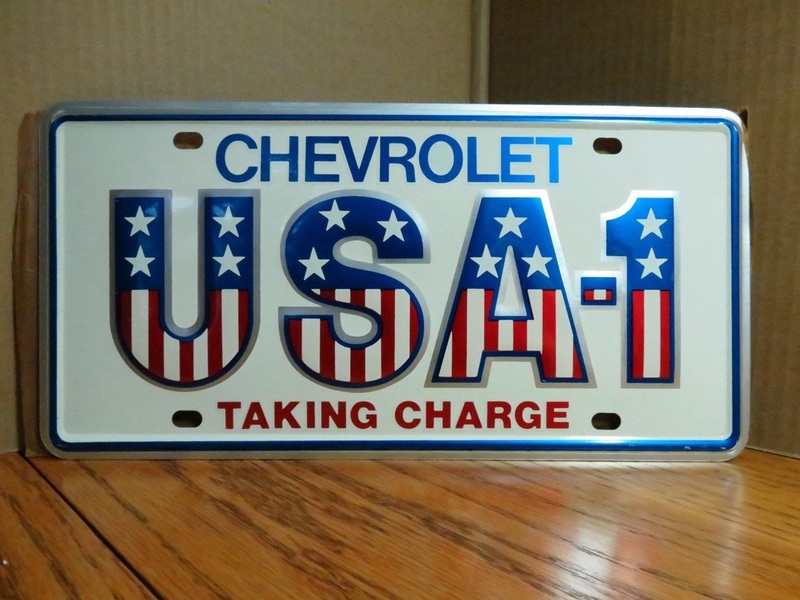 In the 1980s, the plate was changed from steel to aluminum and now had a natural back with no paint and a thinner border. 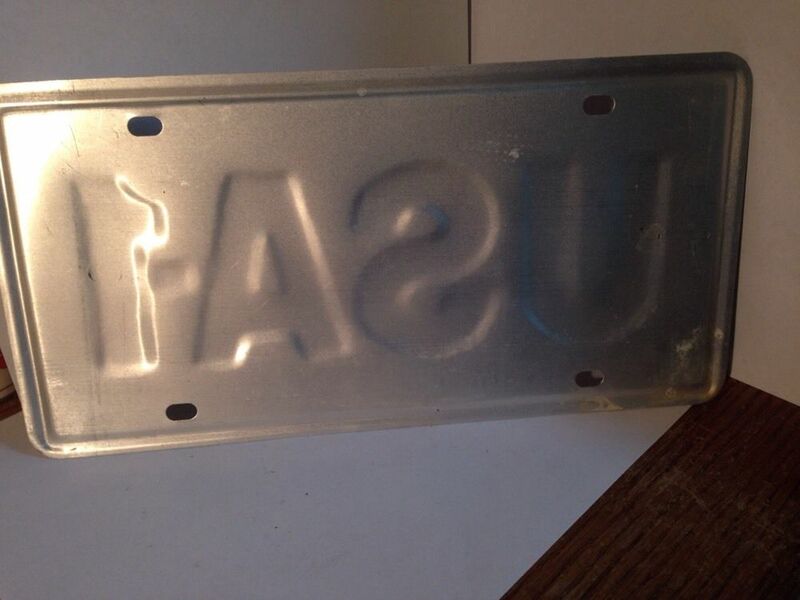 The embossed letters also had a softer edge than the steel version. 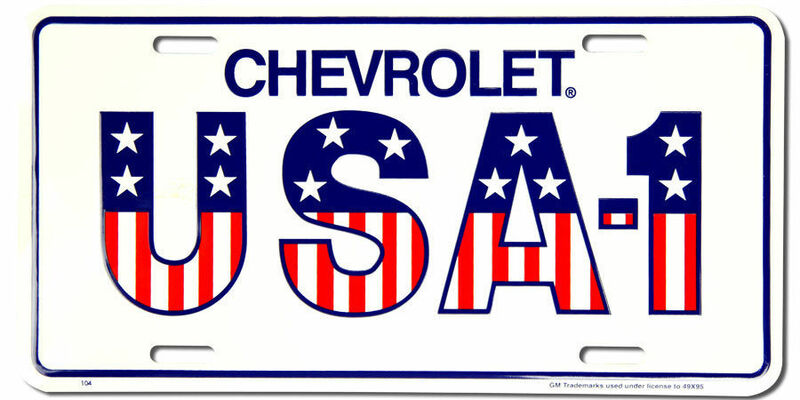 Current USA1 plates are made in China through licensing with General Motors and can be identified with longer bolt slots, registered trademark symbol next to CHEVROLET and license information on the bottom of the plate. 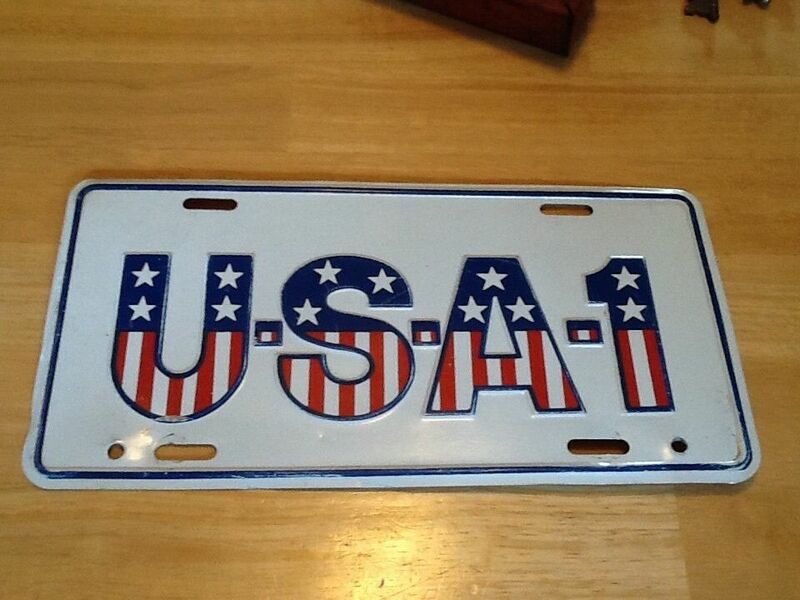 These plates are largely sold through restoration shops as well as dealers.